Tag Archives for " Houston "
Latest news from Texas is that two most liberal cities of Texas – Houston and Austin – have demanded that Uber / Lyft, conduct more stringent security background checks above what the companies are currently willing to do. 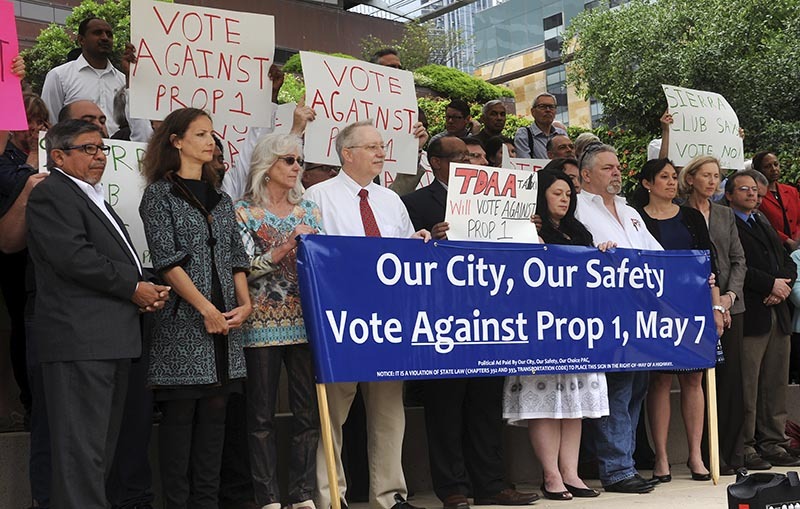 May 7th Austin: Prop 1 was voted DOWN so that potential drivers MUST do finger print based criminal checks. Both Uber and Lyft are now saying they will shut down. Temporarily of course. Uber and Lyft argues that their own background checks were stringent enough and that finger-printed checks by Austin city was an overkill. In Houston, the City push back is bigger where City Hall requires finger-printing, drug testing and a physical which is far more than what Austin requires. Lyft has already had previously balked while finger printing requirement existed. 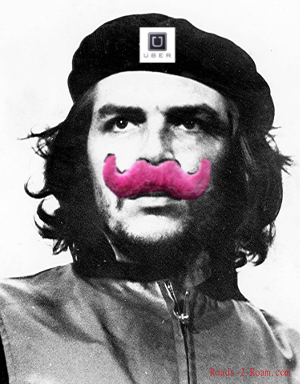 Uber is threatening to follow. Meanwhile the Texas legislature may come up with a State wide direction. That will be interesting considering Austin’s rhetoric about Big Government over-riding local voters. “.Don’t shoot”: A crimbo robs a Houston camera crew. 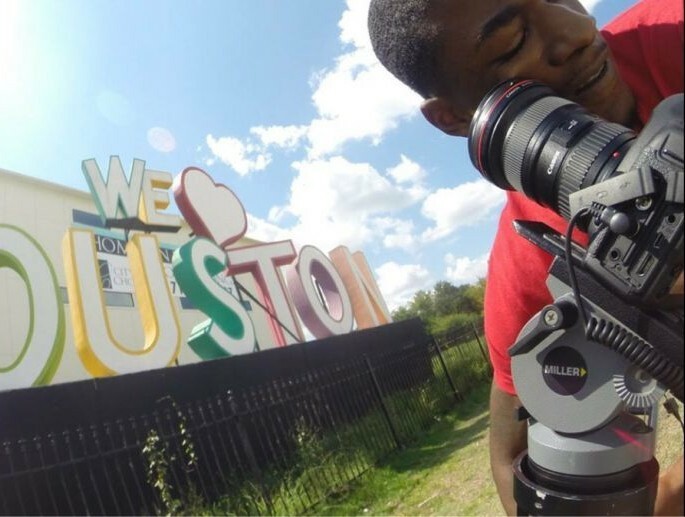 As part of an initiative to promote Houston, a film crew was were filming a promotional video in front of a piece of local art that proudly says “WE LOVE HOUSTON”. And action it was when an unscripted event happened and a man produced a handgun and robbed them of their equipment. “It’s ironic we were there filming a video about how awesome Houston is when it happened,” Jankovic says. ..Luckily for Jankovic one of the cameras that the suspect stole, the GoPro, was rolling time-lapse footage when it was taken. The suspect ditched the GoPro but not before a picture of the suspect was captured. That GoPro and the weapon used in the robbery were found at the construction site. Jankovic says the gun ended up being plastic. This incident will likely not end up in the final cut of the realty company’s promotional video. 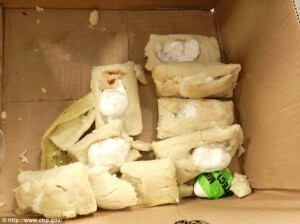 A 46 year old man from El Salvator was caught with cocaine filled Tamales in Houston George Bush Airport. Way to go Amigo: you smuggle something illegal hidden inside something that needs to be declared to customs when you bring inside the US? 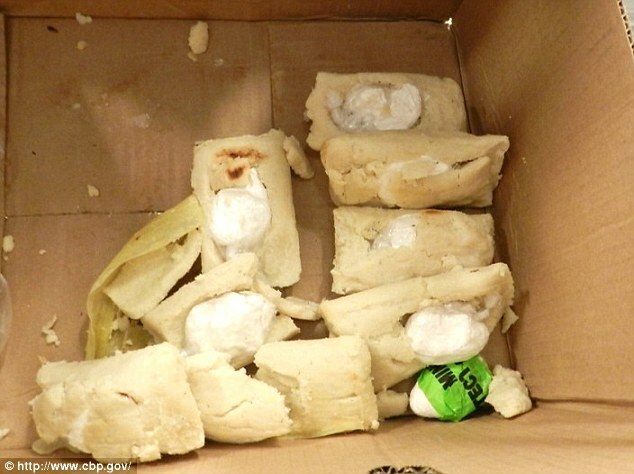 From the 200 Tamales he had in his luggage, 9 were filled with Cocaine. They would have questioned the heck out of you regardless of the Cocaine or not. FYI: here is link that describes in details foods you can/cannot bring into the country. Any food item made from a meat product is a big red flag. An unfortunate ranking for Houston. Around 10:30 p.m., the driver of a 2006 GMC Sonoma pickup was traveling east in the 17600 block of East Freeway where traffic was slowing because of a lane closure. Investigators learned the unidentified pickup driver was traveling on the inside improved shoulder when he failed to control his speed and crashed into the back of a motorcycle. The motorcycle was forced toward the inside eastbound lanes, striking the left side of 2014 Dodge Dart. The rider slid across the roadway into the center lane while the motorcycle hit a wall and caught on fire, authorities said. At the same time, the Sonoma continued traveling east where it rear-ended the back of 2011 Cadillac CTS, authorities said. The Cadillac then crashed into the Dodge Dart before striking the back of a 2014 Ford F-150. Some years back, a daughter’s boyfriend told me of the time when he got knocked off his motorbike from behind while waiting a red light in Houston. He was hurt pretty bad. The woman driver was drunk. My first ever vehicle was a motorbike where it was my main mode of transport for many years. It was not that I didn’t like cars, but it was the only thing I could afford. A condition of getting the bike was a promise to my mother to take a defensive driving Motorcycling course. I learned a lot : about where on the road to drive; to be continually aware of the road – who is doing what ahead and behind; preventive actions to take when seeing a car waiting at a junction; the underlying assumption that the other driver has not seen you. Continue reading.. In the war against the old style Taxi and municipal regulation, Houston City council came down on the side of Uber and Lyft and voted to allow them to operate in Houston City limits. “After months of discussions, City Council has approved the operation of ride-sharing services in Houston. Taxi cab drivers have been fighting it, but on Wednesday Houston city leaders gave the green light to companies like Uber and Lyft. For months Uber and Lyft have been asking to operate within city limits, but city leaders have been slow to say yes because there were questions about how to regulate the new mobile app-based services. And this is where Mr. Devil meets Ms. Details as there are different models under the Uber and Lyft banner. Continue reading..